With this polygon calculator, you can find the essential properties of any n-sided regular polygon. 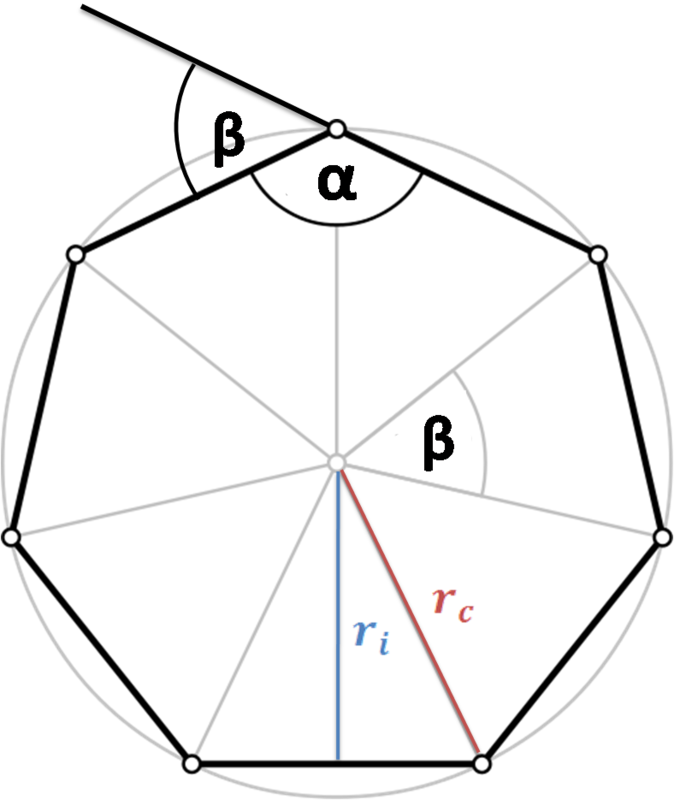 Whether you are looking for the area of a heptagon or the angles in a decagon, you're at the right place. Below you'll find the polygon definition and a table with the names of polygons along with their shapes. After reading this short article, you'll know what is a polygon and how many sides a particular polygon has - keep reading or simply give this calculator a go! A polygon is a 2D closed figure made up of straight line segments. That's the polygon definition. But how does it look like? Many shapes you learned about are polygons - triangle, square, parallelogram, rhombus, kite, pentagon, hexagon, octagon... A lot of them. But popular shapes that are not polygons also exist - take a circle and an ellipsis as an example. Polygons are classified based on their sides and angles, as well as their convexity, symmetry and other properties. Every regular polygon with n sides is formed by n isosceles triangles. The answer to the question depends on which polygon you have on your mind. "Usually, you can use the polygon name as a hint to deduce how many sides it has - the prefixes come from Greek numbers. 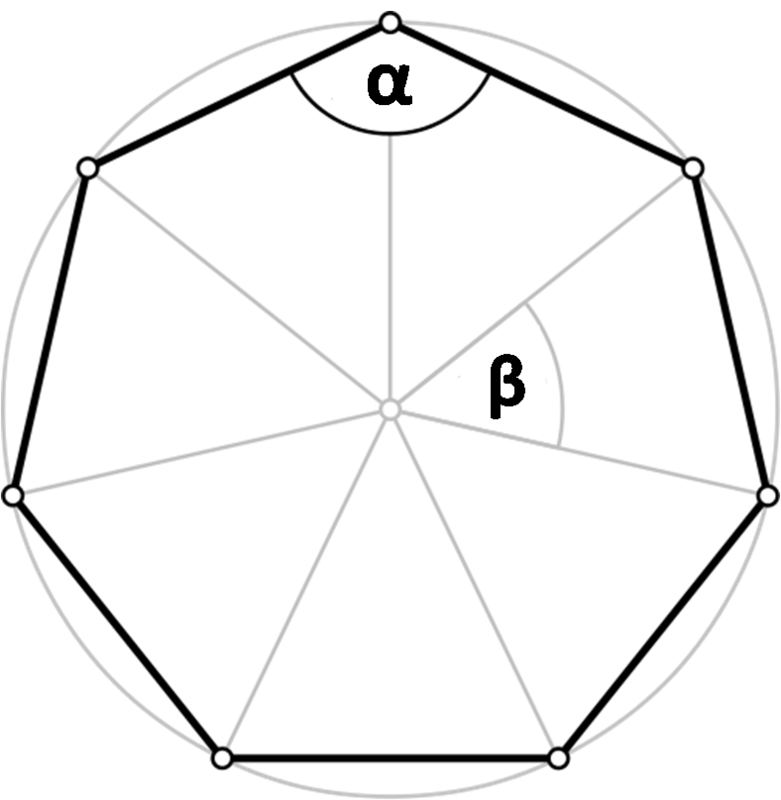 If your polygon has 13 or more sides, it's easier to write 13-gon, 14-gon, 20-gon ... "100-gon", etc. Other equations, which use parameters such as the circumradius or perimeter, can also be used to determine the area. You can find them in a dedicated calculator of polygon area. 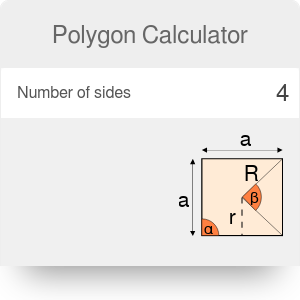 Read more about polygon perimeter in the perimeter of a polygon calculator. β = 2 * π / n, where β is an exterior angle. All these equations are implemented in our polygon calculator. Choose the polygon shape and type its number of sides. To calculate the properties of e.g. a nonagon, type 9 into the number of sides box. Enter one parameter. One given value is enough. Assume that we know the perimeter of our shape, let's say it's 18 in. Polygon Calculator can be embedded on your website to enrich the content you wrote and make it easier for your visitors to understand your message.